It’s likely that you entered the veterinary profession with little – or no – practical experience in effective client communication. 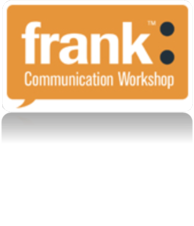 The Frank™ workshop teaches veterinarians critical communications skills in the same fashion that they would learn other clinical skills – they are taught the concepts, and then practice them in a clinical setting with patients and clients. This evidenced-based, interactive program uses best practices in teaching communication, including demonstration and observation of communication skills, realistic client portrayal, constructive feedback and video reflection. • Participate in a day-and-a-half of intensive experiential learning. • Integrate shared-decision making into your client interactions. • Practice communication skills through 10 case-based simulated client interactions. • Work in a supportive small group setting with individualized attention to learning goals. Includes: Course materials, digital video, breakfast, lunch, dinner, refreshment breaks, and a reception. ** NOTE: If you're a VetGirl subscriber, you get a 10% discount to FRANK! Just contact Cathy Mojahed at the number below to sign up for your discount! Let the learning and communication begin! Note: If you are attempting to register 1 month or less prior to this course please call (970) 297-1273 to confirm availability.